Premium grade, medium adhesion blue painter's tape for interior and exterior masking of multiple surfaces, such as painted walls, glass, vinyl, metal and wood, when easy, no-residue removal is a must. CP 27® is designed with a synthetic rubber-based adhesive that prevents lifting and paint seepage, while allowing it to remove cleanly from surfaces without damage for up to 14 days to deliver superior results. 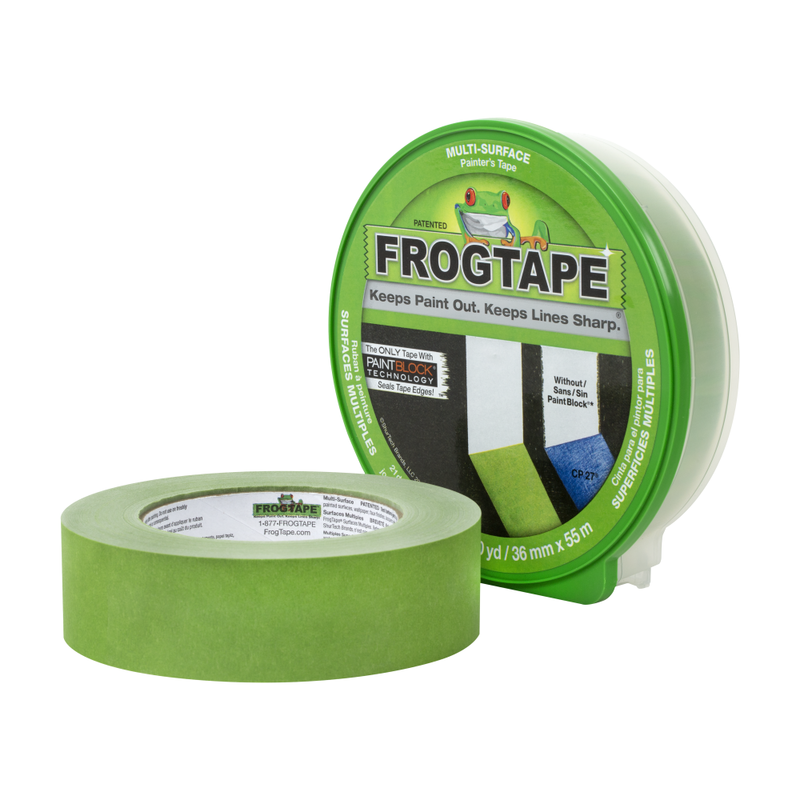 Premium grade, multi-surface FrogTape® brand painter's tape made with exclusive PaintBlock® Technology. 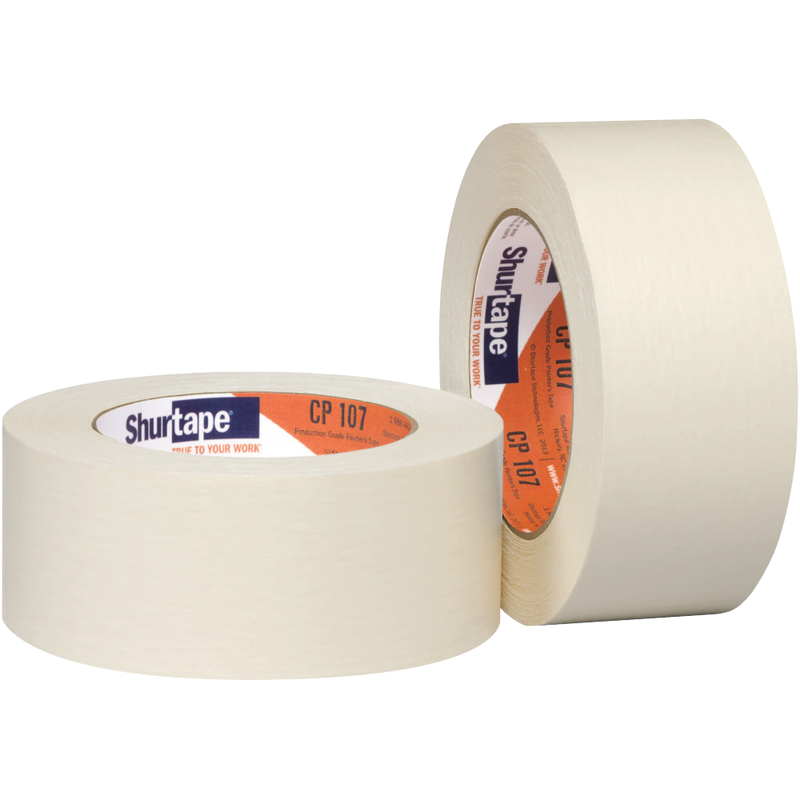 Contractor grade, high adhesion masking tape for applications that demand quick stick and conformability. Industrial grade, medium-high adhesion masking tape for non-critical painting and industrial applications. 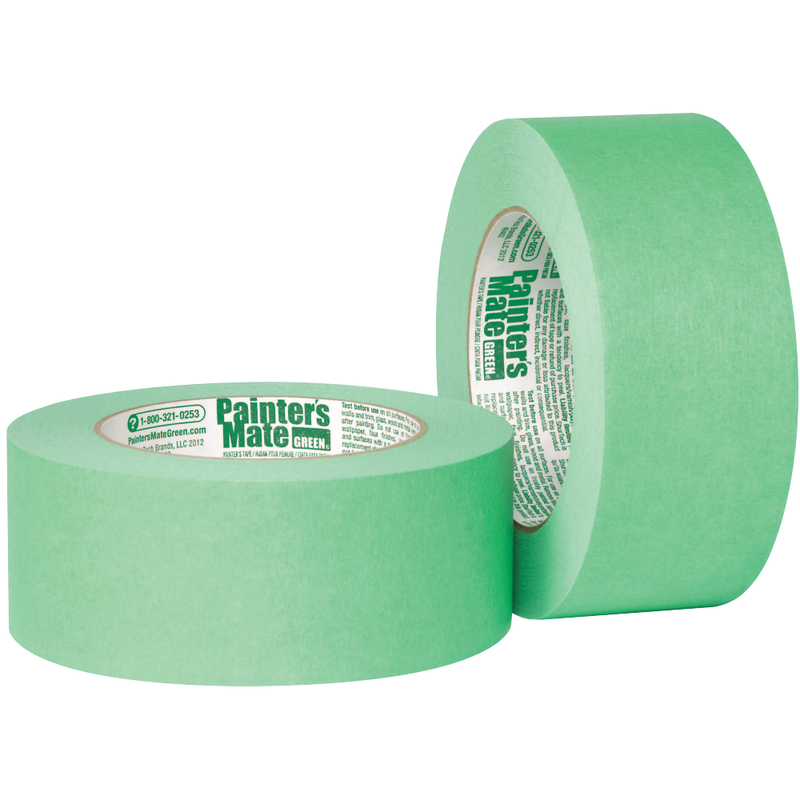 Painter's Mate Green® brand 8-day professional grade painter's tape. Physical and performance characteristics shown above are obtained from tests recommended by PSTC, ASTM, government agencies or Shurtape Technologies, LLC, Quality Assurance and Technical Service departments and do not represent a guarantee of product performance. Individual rolls may vary slightly from these averages. The user should determine whether the product is fit for a particular purpose and is suitable for the user’s method of application before use. Sizes and colors disclaimer: Lead times may apply. 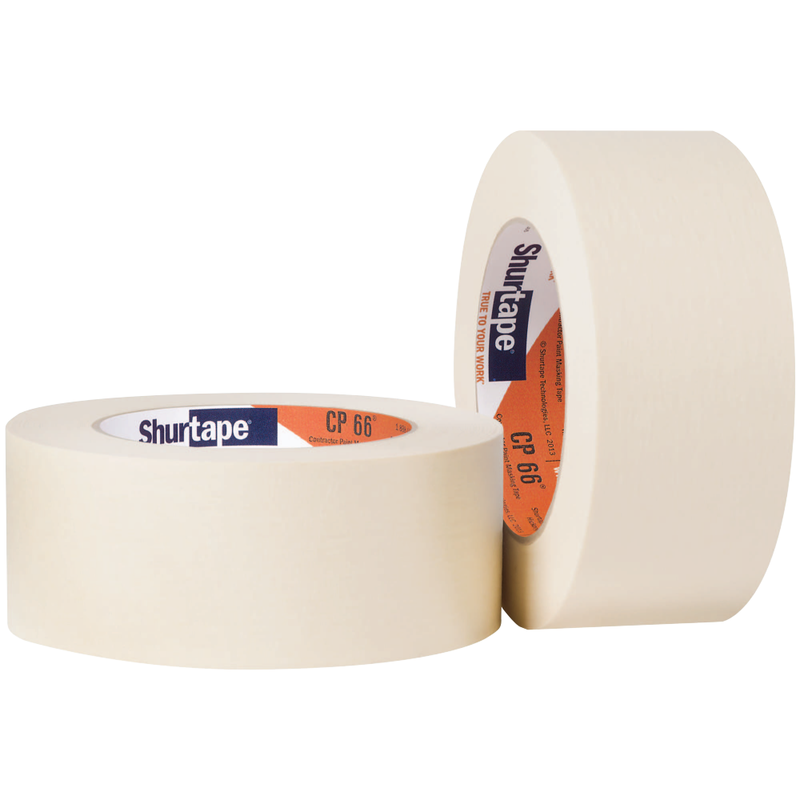 Please contact Shurtape customer service for information related to stock and non-stock sizes and colors. Tape should be stored in its original packaging in a cool, dry area away from direct sunlight and should be used within 12 months of date of shipment. Surfaces to which tape is applied should be clean, dry and free of grease, oil or other contaminants.